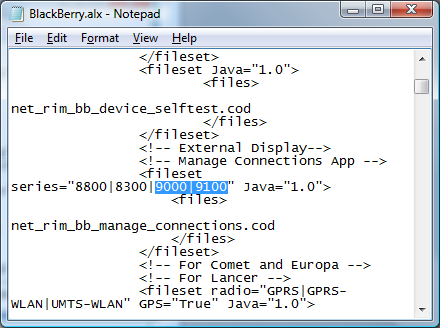 Until this point we've been referring to all of the leaked new BlackBerry images we have seen as the 9000 - which makes sense considering the OS screen capture says 9000 on it. 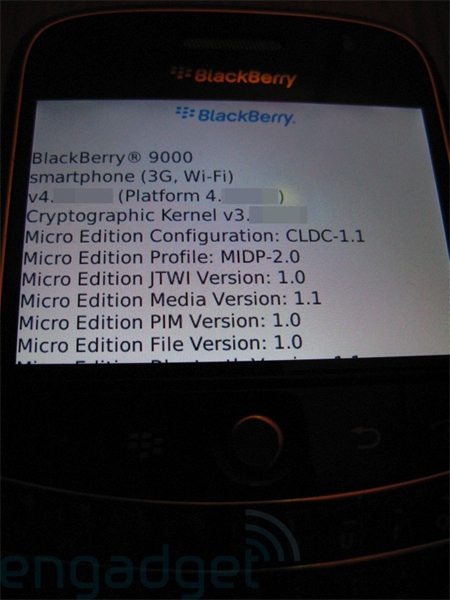 BUT.. despite that, part of me has been thinking RIM would announce this device with a name other than 9000, perhaps calling it the 9100. Think about it - in the 8xxx and 7xxx series there is no device called 8000 or 7000... why start now? Plus Nine Thousand doesn't roll off the tongue quite as nice as Ninety-One Hundred (or is that just me thinking that?!). With this file referring to both a 9000 and 9100, that basically confirms a) that the 9000 we have seen is the 9000 and b) there's a 9100 device in the works. What's the difference going to be?! What's the 9100 going to pack that the 9000 doesn't? Or will it be basically the same phone just branded a bit different for Vodafone? You can check out more of Jibi's images here, and if you have any guesses, insight, or know what's going down be sure to drop it in the comments! I'm kind of getting done with the pre-9000 posts...I just want the device in my hands already!! !